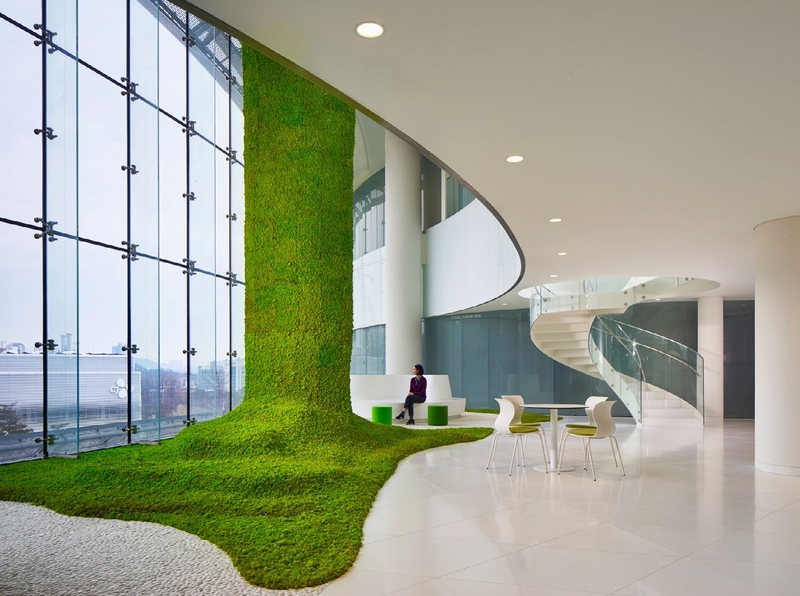 CannonDesign’s CJ Blossom Park, located in South Korea, is an example of how a company’s identity can shine through to become a significant component of its headquarters. CJ — one of the largest companies in the country — desired a structure that puts forth its vision, “a three-petal blossom that represents a “better life” of happiness, enjoyment and convenience” to the forefront. 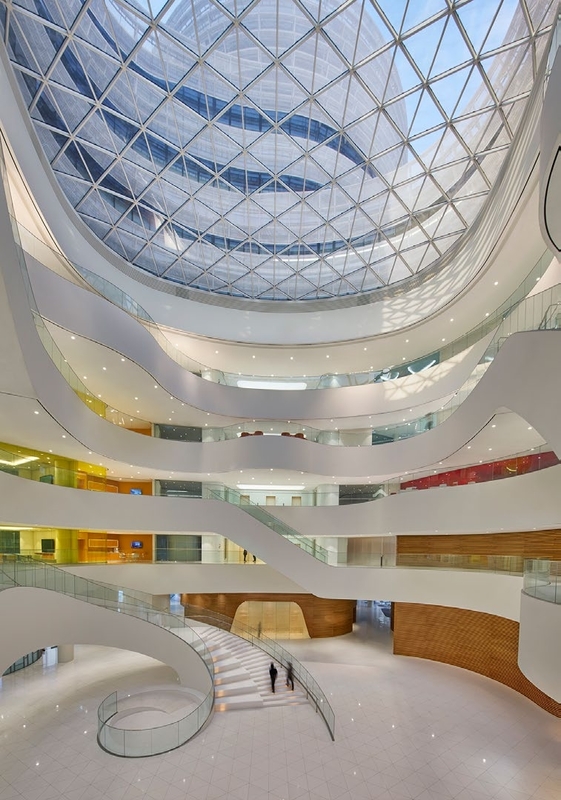 Three towers wrapped in a curving mullion-less glass and custom sunscreen rise around a central atrium; the base of the building is where the large shared spaces are located and a strong connectivity to nature. The gracefully curving wood walls as seed hulls evoke growth and harmony. The jury was impressed with how the firm responded to the concept. “It is difficult to get that curved, clean form,” one juror said. “It is undeniably impressive,” another said.